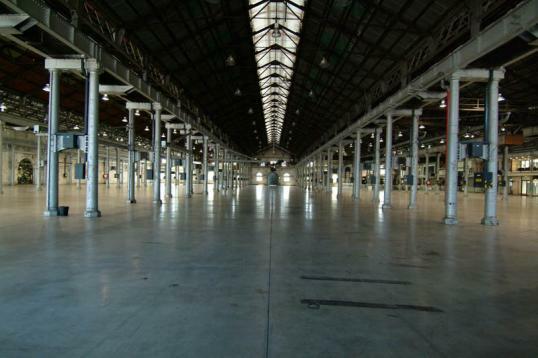 A new Australian film school opens its doors this weekend to just over 100 students. Their goals and outcomes are simply unheard-of in industry standards: students get to produce a million dollar feature film coached by industry professionals and they'll share in the profits - subject to the movie gaining theatrical distribution and being successful at the Box Office. There are hundreds possibly thousands of excellent acting and film schools throughout the world. What could be so different about PartyCp8 (pronounced Participate) to justify a world-first breakthrough? For starters, they claim to complement every film school and University that teaches performing arts and media related courses. They focus mainly on one thing: to give their students a feature film credit. And to make the whole experience even sweeter, if the produced film gains theatrical distribution and makes money at the Box Office, the producers will share 50% of their gross profits equitably with their students. You read right. Now in plain English. If you enroll into a PartyCp8 course, you will work in a full length movie AND if the movie is good and makes money, you could end up making money too. Another key point in their strategy is that if you have a feature film credit as a screenwriter, actor, director or crew, then you can join the relevant Guilds and Unions. This membership is essential for getting paid work at least at the agreed minimum rates and have your legal rights protected by the Unions... but only individuals with working credits can join them. Therefore with the help of PartyCp8's film credit, that's another hoop that you can jump through. For new talent with no previous experience to be offered the opportunity to work in a professional grade feature length film, to be offered gross profit participation and have the opportunity to join the relevant Unions is truly phenomenal. How can they do all this? It is a very clever ensemble. They combined the talents of working film industry professionals, educators and business people and created a comprehensive 12 month part-time mentoring program. 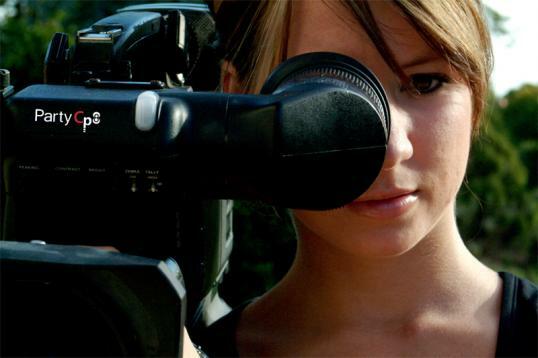 During the first half of the course, students work on average 4 hours per week and get classes on all relevant aspects of HD Digital filmmaking, from the development of story ideas to drafting a full screenplay, then pre-production, acting, directing, cinematography, post-production and marketing. In the second half of the course students are guided hands-on in the film production of an actual feature film which will be submitted to national and international film festivals and pitched to Studios for theatrical release. If you were wondering where to get practical skills, a chance to show off your talent with plenty of opportunities for international exposure... well, you can't really go past what PartyCp8 is offering. Who is behind PartyCp8? What jumps off the list is UCLA Extension - that is in itself an incredible opportunity for Australian talent to get Hollywood training without leaving Sydney. UCLA is one of the world's most prestigious tertiary institutions. The list of mentors and teachers from Australia and Hollywood has one very important characteristic: they are all existing working film industry professionals. You want fresh current ideas, new trends, methods and technologies - they are spot on with this approach. Let's name a few: Bettina Moss, Jim Tanenbaum, Paul Brincat and three times Academy Awards Winner Jerry Jeffress (ET, Poltergeist, Indiana Jones). They have posted on their website the teachers' names and some of the film credits go to: http://www.partycp8.com/index.php?teachers. The list keeps growing as the word gets around in the industry, PartyCp8's radically different approach is making a lot of noise in the right places. If you wonder who put together such strikingly simple yet brilliant creation, you won't find a Hollywood nor an Australian mega-star behind it. Adrian Bertino-Clarke is a Business Development and Marketing consultant and Artur Kade is owner-operator of Art of Multimedia, a successful multimedia company. They are not complete industry outsiders, though; Adrian is an award winning writer and worked for a Theatre Production Company in the past, and; Art is an award winning videographer who has been in the glamorous USA pro lecture circuit for five years. "How did I think of it?" Adrian answered, "I researched the industry asking myself what is the one barrier preventing young talent from entering the industry: the answer is the lack of track record or film credits. So, I approached Art and we put together a system that delivered just that." "There is an ever increasing demand for quality films out there, therefore it should follow that more and more talent is needed, right? Yet, the practical reality tells you the opposite: despite the increasing demand, it is becoming harder for uncredited talent to get professional jobs and that's why more and more wannabe filmmakers go into the expensive gamble of making short films with the hope of being discovered. This kind of approach is not for everyone. And even for those who delve into it, it is only a very very small minority who make it to Hollywood in this way". "For a fraction of the money people spend on short film productions, PartyCp8 offers so much more. 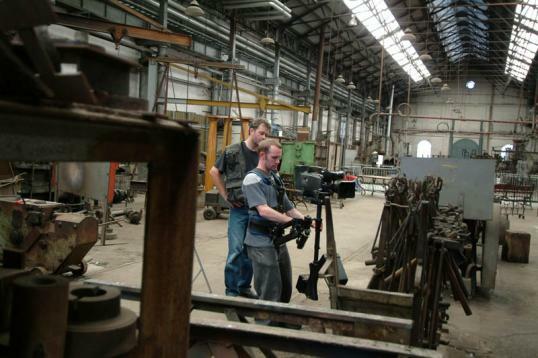 We help to discover students' new talents by giving them exposure to all aspects of film production during the course. They get practical relevant skills in current state-of-the-art cinematographic techniques. They are mentored hands-on by working industry pros and guided in the exhilarating tasks of producing their own movie fit for theatrical release. And to reward their hard work, we will share the movie profits with them. Do you know anybody who has sold a short film and made money with it?". I don't. And I think these guys will kick up a storm. What characterizes a great idea is mostly its simplicity and the extent of its application. If you are talented and would like to work in the film industry there is no doubt that your best calling card is a film credit. New South Wales government Minister for Business and Regional Development, The Hon David Campbell, launched PartyCp8 in October 2005. He said PartyCp8 was an important initiative that promoted skills and Australian industry as well as launching the next generation of Australian talent and creating a potential source of export income. There you have it. "With the kind of mentoring program we designed, we believe that our students will be able to write, act, direct and produce a world-class product that will make us all very proud." And we would like our students to be right there when you do that, Mr Bertino-Clarke.